MANILA, Philippines - The 'Filipino Flash' Nonito Donaire made an impressive comeback inside the ring as he won in just 2 rounds the NABF Super Bantamweight title against Brazilian William Prado in the co-featured bout of Pinoy Pride 30 on Saturday, March 28 at the Smart Araneta Coliseum in Quezon City. 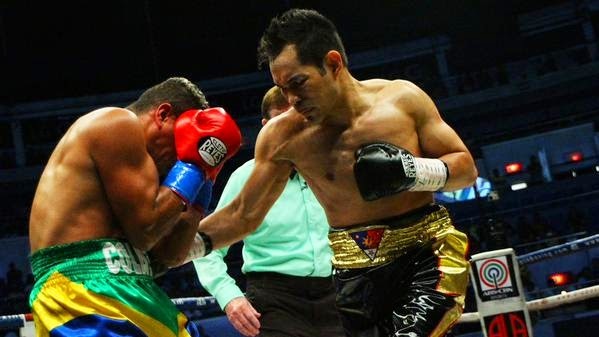 Donaire (34-3, 21 knockouts) once again showcased his trademark left hook, with series of punches which rendered Prado (22-4-1, 15 KOs) defenseless, forcing the referee Bruce McTavish to stop the fight even without officially scoring a knockdown. The 32-year-old boxing star from Bohol overwhelmed Prado at the 2:16 mark of the second round with the Brazilian's left eye a bloody mess. It was his first fight since he suffered a sixth-round technical knockout loss to Jamaican Nicholas Walters last year. “Para sa inyo ito lahat sa mga Pilipino (this win is for every Filipino),” said the 32-year-old Donaire addressing the crowd at the center of the ring. On the main event of Pinoy Pride 30, Filipino Donnie Nietes has defended his WBO title and secured his stay as the longest reigning champ in Philippine boxing history. Nietes knocked down Gilberto Parra at the 8th round of their championship fight.